We are taking orders for your Thanksgiving turkey. They are fresh, pasture raised turkeys from Gunthorp Farms in Lagrange, Indiana. The orders need to be in by November 9!!! and will be available for pick-up after November 17. 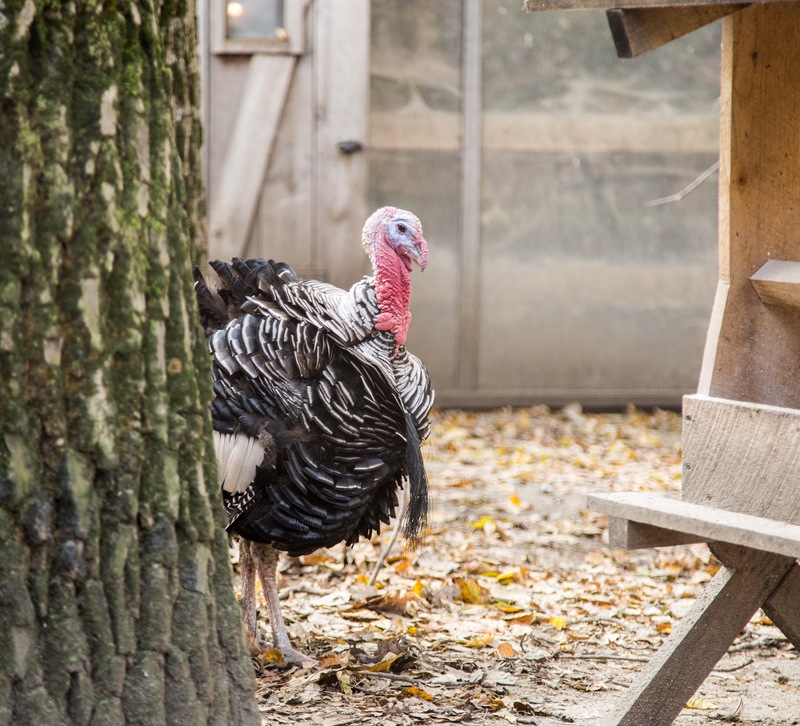 The turkeys come in ranges of size: Standard: 15-20 lbs. Large: 20-23 lbs. XLarge: 23+lbs. Price is $4 per pound. While you are ordering turkey - put in an order for a Pumpkin Cheesecake ($20); or Mashed Potatoes & Gravy ($9). BREAKFAST? You mean the family wants breakfast too? We have a variety of quiche made with our farm fresh eggs and home grown vegetables and Wagyu bacon too! In fact, Wagyu bacon is on sale for the month of November. $15/lb. it is 10% off for one lb. 20% of for 2+ lbs. Make it a feast all day!! !